The Licenses settings page shows licenses that are installed on your system and gives options for adding or removing licenses. 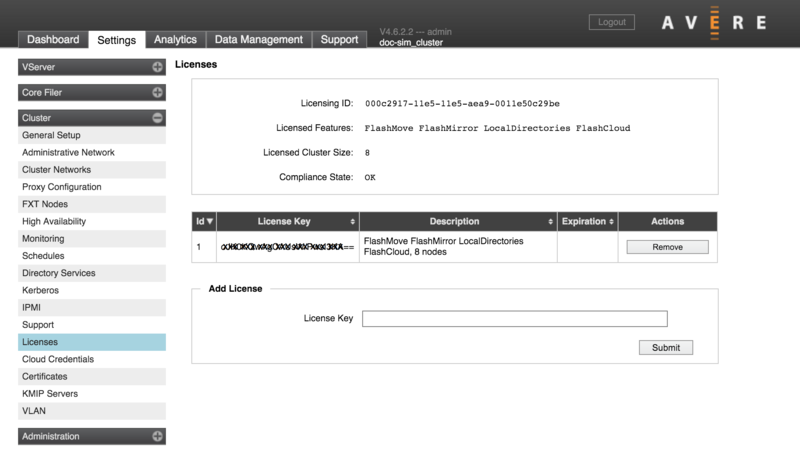 Some Avere OS features, including FlashCloud, FlashMove, and FlashMirror, require separate feature licenses. After purchasing a license, send the license ID to Avere Global Services to receive the license key that you will install on this screen.